Americas Best Value Inn and Suites Warsaw offers the most value for your money when staying for business, pleasure, or just passing through. We offer clean spacious rooms, a meeting facility, and free Wi-Fi throughout the property. Enjoy a free deluxe continental breakfast each morning. All guest rooms include microwave, mini-fridge, coffeemaker, hairdryer, satellite TV, Showtime, ESPN, free local calls, and wake-up service. An iron and ironing board are available upon request at the front desk. Take advantage of our extremely comfortable beds and relax while saving money year-round with our Kids Stay Free Policy (11 and under in parent's room). For your convenience, our hotel offers both smoking and non-smoking rooms. Sorry, no pets allowed. We are centrally located off Highway 24 we are near to local attractions such as Duplin County Veterans Museum, Liberty Hall, and Sampson County History Museum. 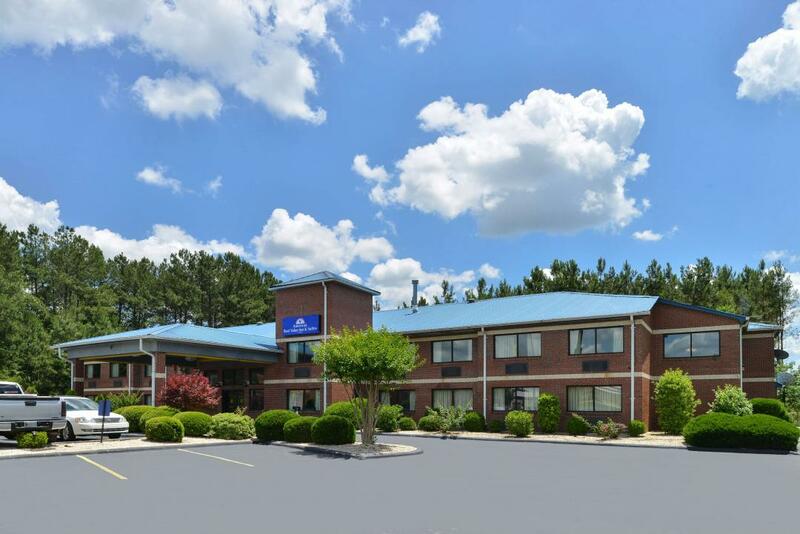 Americas Best Value Inn and Suites Warsaw is your best choice within the eastern central region of North Carolina. We offer ideal accommodations and location whether you are in town for vacation, business, or simply passing through on your way to Fayetteville or Wilmington. At Americas Best Value Inn and Suites Warsaw our goal is to provide our guests a great experience, not just a place to stay. At Americas Best Value Inn and Suites Warsaw, We've Got You Covered from the time you hit the road until your head hits the pillow. Smithfield's Chicken N Bar-B-Q, 0.03 mi. Taste of Sensation, 2 mi. New Golden City, 2.7 mi. The Country Squire Restaurant, 7.7 mi. Zengs Chinese Restaurant, 10.3 mi. Teds Charcoal Steak House, 11.3 mi. Ribeyes Steakhouse of Clinton, 12.7 mi. Check out these Warsaw attractions during your stay. East Park Cinema, 10.7 mi. Royal Lane Park, 13.4 mi. Coharie County Club, 14.7 mi. Dunn-Benson Dragstrip Inc, 38.6 mi. Carolina Premium Outlets, 47.4 mi. Duplin County Veterans Museum, 2.8 mi. Sampson County History Museum, 11 mi. Worlds Largest Frying Pan, 14.4 mi. Wayne County Regional Agricultural Fair, 28.1 mi. Wayne County Museum, 32.8 mi. Johnson County Visitors Bureau, 45.6 mi. Onslow County Tourism, 49.9 mi.